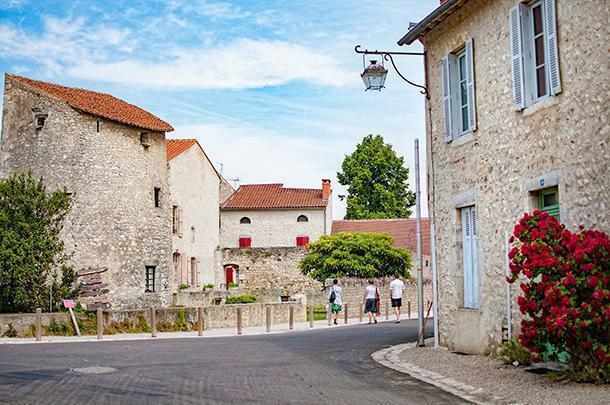 Charroux, a beautiful village in Auvergne, France, is a must-visit destination for foodies, art lovers, and history buffs. We share 5 reasons to visit this Plus Beaux Village. The village of Charroux, 30kms west of Vichy, France had a population of 388 people in 2012. It’s far from a booming metropolis but it still has plenty to offer slow travellers and foodies like us. 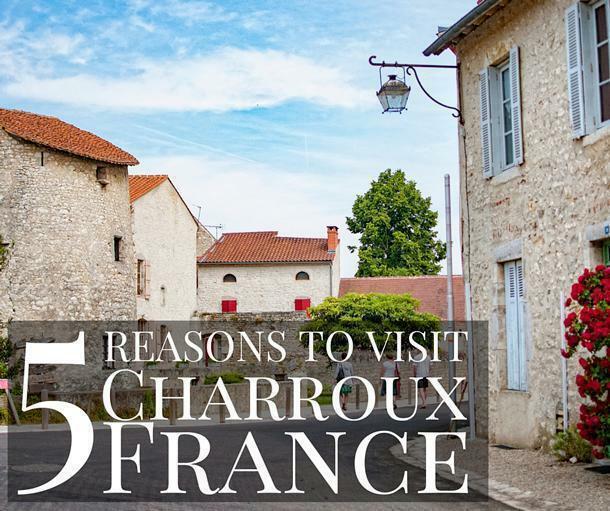 Here are 5 great reasons to visit Charroux on your next trip to Auvergne, France. Charroux in Auvergne is a Plus Beaux Village de France. They say beauty is only skin deep but France has built a whole tourism industry around its beautiful villages. 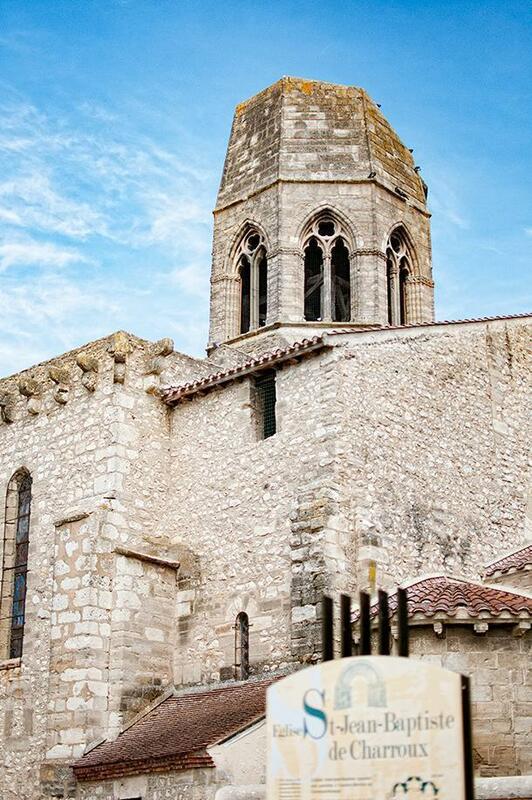 Les Plus Beaux Villages de France are a collection of 153 of France’s prettiest villages that meet 30 criteria for history, culture, and development. 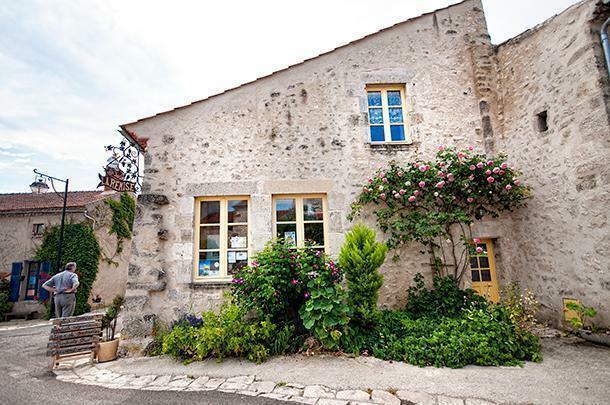 We’ve visited a number of Plus Beaux Villages on our slow travels and they are definitely lovely, however, many of those we stopped at had little to do beyond grabbing a bite to eat and admiring the surroundings. Like Limeuil, with its fascinating garden, Charroux has more to offer visitors than just a pretty face. We’d be remiss however if we didn’t point out just how pretty it is. The title of Plus Beau Village de France is certainly well earned in Charroux’s case. Make sure your camera batteries are well charged before your visit. 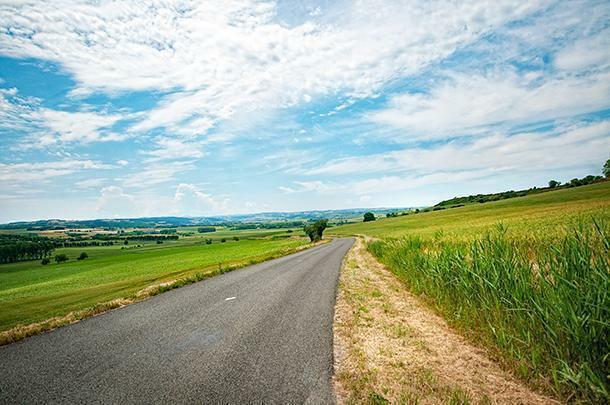 The village of Charroux is surrounded by Auvergne’s rolling countryside. To achieve Plus Beaux Village status, a village must have at least 2 protected sites or monuments. 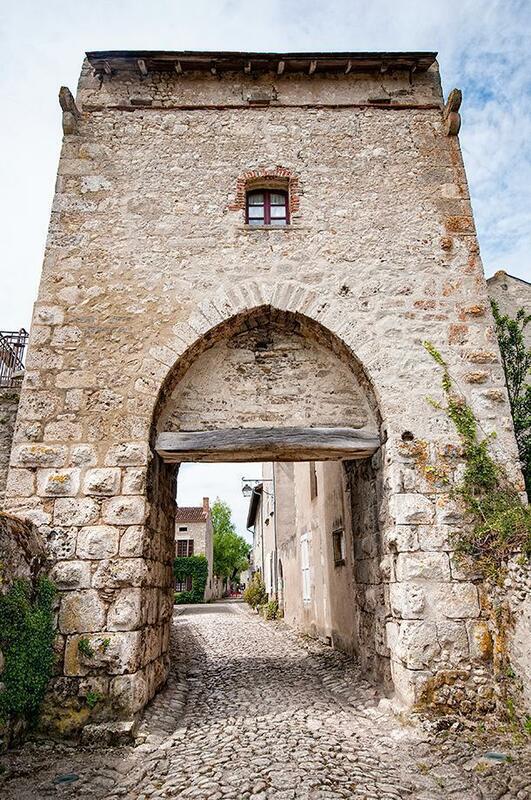 As a once fortified village, Charroux has several. There are timber-framed buildings, the remains of the east and west city gates, and the church of Saint-Jean-Baptiste. At the heart of the village is the Cour des Dames; a small inner courtyard that offers an escape from the bustling streets. Walking along the cobbled streets of the village interior it’s easy to imagine medieval Charroux. One of the two remaining city gates in Charroux, France. 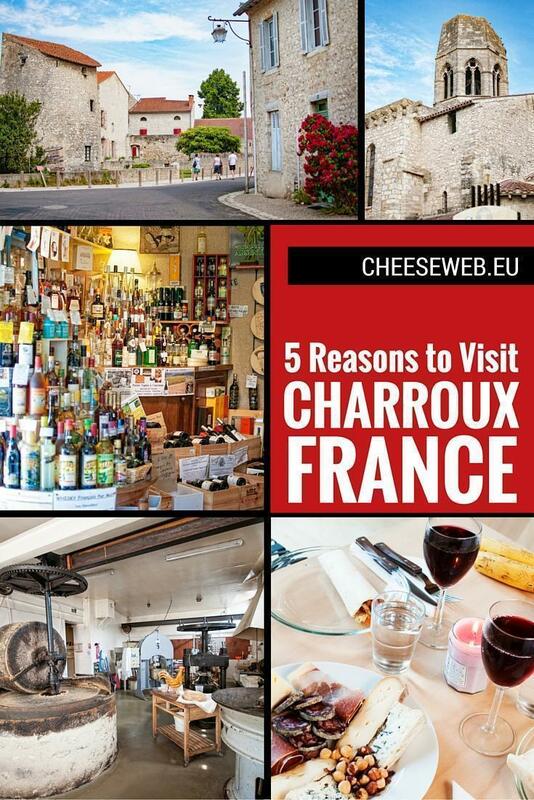 One of our top criteria for a great destination is the food scene and tiny Charroux outdoes itself in this category. There are plenty of restaurants and cafes in the village, but we actually opted to gather the makings of a fantastic picnic. 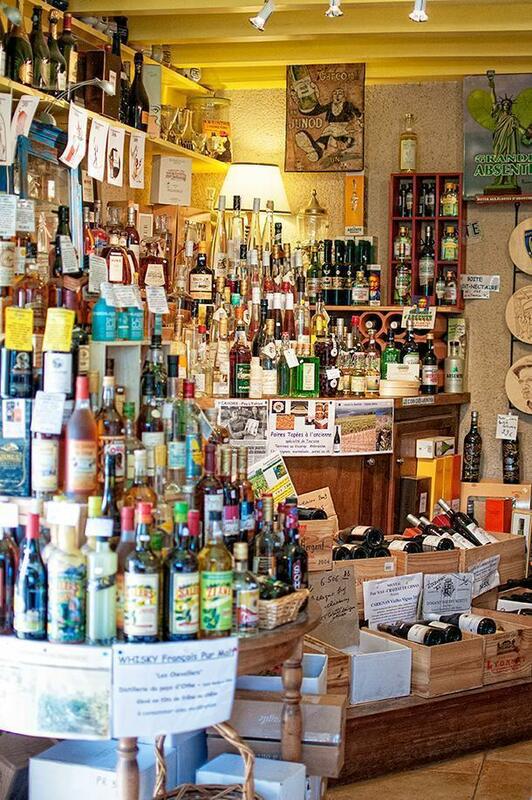 The gourmet shop, La Remise, in the village of Charroux, France. Our first stop was La Remise, a gourmet shop recommended as a must visit by our hostess at Aux Jardins des Thévenets B&B. After gorging on her fantastic meals, we were more than eager to take her foodie advice. She was right, of course. Inside, La Remise is a foodie heaven. La Remise is a converted garage, brimming with gourmet treats from around Auvergne and beyond. Andrew was immediately drawn to the alcohol corner while I flitted from foie gras to handmade pasta to charcuterie. All of the offerings are artisanal and many are bio-organic. The friendly clerk was happy to offer advice and suggestions and we managed to stock our fridge for the next few days. However, on the foodie scene, Charroux is famous for a particular condiment of which I was never a huge fan – mustard. 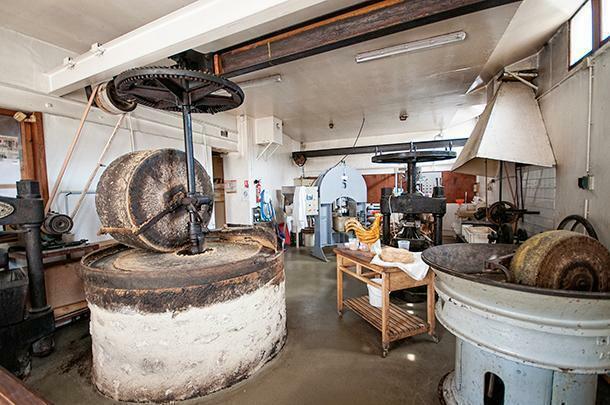 The timeless Charroux mustard factory is worth a look – and a taste! Moutarde de Charroux dates from the 1820s but stopped production as industrialisation took over. In the 1990s, the Maenner family decided to pick up the torch and produce Charroux’s famous mustard using traditional techniques in the tiny ancient mill. The mustard factory is open to the public and the mustards produced are available for taste-testing and purchase. Even this non-mustard-lover was won over. Don’t miss the purple mustard or the mustard with piment d’Espelette for a spicy kick. Our first introduction to Charroux’s purple mustard. Yum! As a foodie oddity, don’t miss Les Pots De Marie, a window in the village containing more than 500 antique spice jars from a private collection. 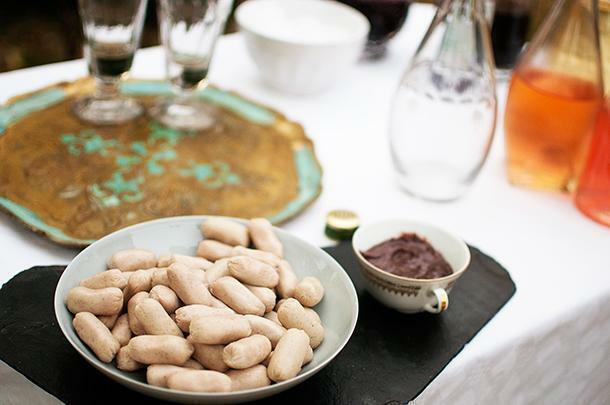 Beyond filling your picnic basket with tasty gourmet foods, Charroux offers a number of non-edible artisanal products. La Savonnerie de Charroux produces dozens of varieties of handmade soaps. The ingredients are all natural and often bio-organic. The scents are gorgeous and include everything from traditional favourites like lavender and lemon to green tea and chocolate. The pretty exterior of Les Bougies de Charroux, France. Our candle from Charroux made a nice addition to our picnic. There seem to be more artists and artisans in Charroux than any other village we’ve visited in France. The streets are teeming with shops selling handcrafted goods. 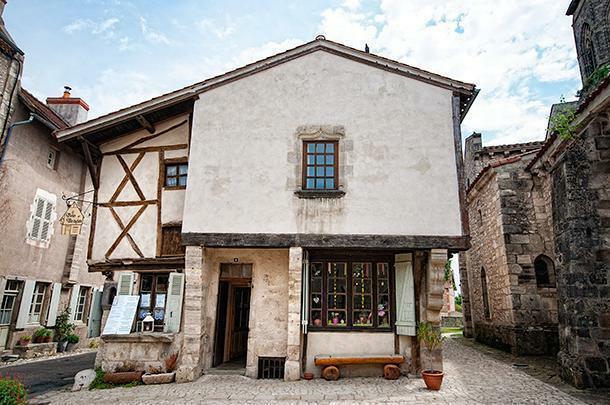 In addition to the edible and practical items we’ve listed above, Charroux has many artisan shops dedicated purely to artistic pleasure. Art du Feu au Chalumeau – This artisan handcrafts glass beads made into colourful jewellery creations. Fil du Verre – Is also a cooperative of 4 artists, this time working in glass, wood, flowers, and silk. This list just skims the surface of the many artisans of Charroux. A great way to experience them all is by visiting during the Journée des Artistes et Artisans or Day of Artists and Artisans, (August 7, 2016) or simply wander the narrow streets popping into shops that catch your eye as we did. Charroux is more than just a pretty face. 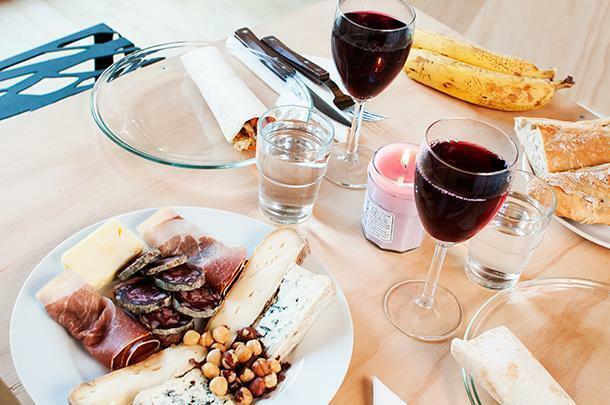 This beautiful village is a must-see destination in Auvergne, France, for foodies, art lovers, history buffs, and anyone who appreciates handcrafted artisanal products.